Dan and Jon. Hilde and Bert for a day. First off we had an awesome trip! We stayed at the Santa Fe for 4 nights and besides a couple of bouts of grey weather, we had an amazing time! So what did we get up to? Well, for a start, for Disneylad Paris we met a record amount of characters! Characters, as Jon will now agree, at DLP are notoriously difficult to pin down. Now this isn't because there aren't any, but it's to do with the organisation. 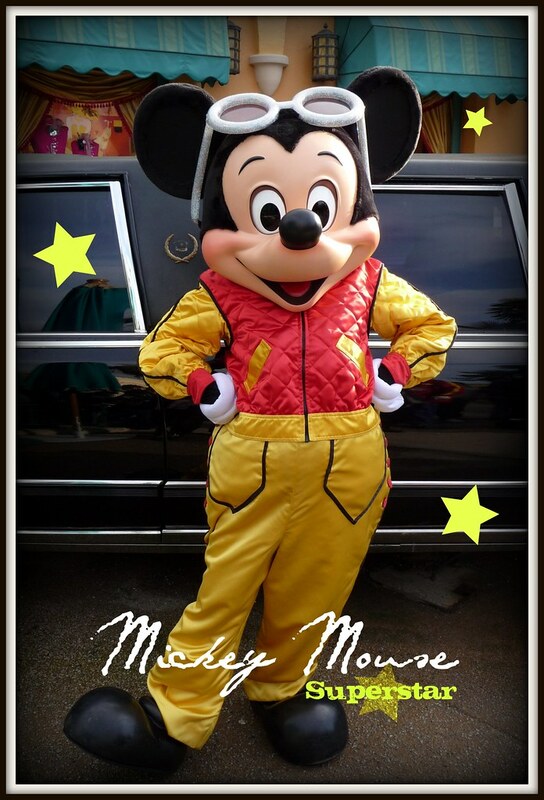 For a start they can appear randomly, at any point, anywhere in the resort! The second thing is when they do appear, there is basically a free-for-all in trying to get to meet them! This is very frustrating and can lead to arguments with very rude Germans and French - to which once again Jon can confirm LOL!! Anyway, I got to meet 16 characters that I hadn't met before, plus loads of others that we have met - inclucding some of them in different outfits. My greatest character finds this trip were Jack Sparrow, Bert (from Mary Poppins), Robin Hood, Big Al, Emile, Clarice and the Sheriff of Nottingham. New outfits for characters I've met many times include Mexican Mickey, Superstar Mickey, Bellhop Goofy and Aurora in her blue dress. We managed to see Disney's Once Upon a Dream Parade every day we were there (so 5 times). I love this parade. It certainly has some cool elements to it, and some great characters. The show stops are fun too. This was Jon's forst time seeing this Parade, of course. 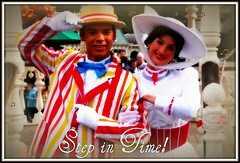 We waited for the Character Express on numerous occasions too and managed to meet a bunch of characters from that. 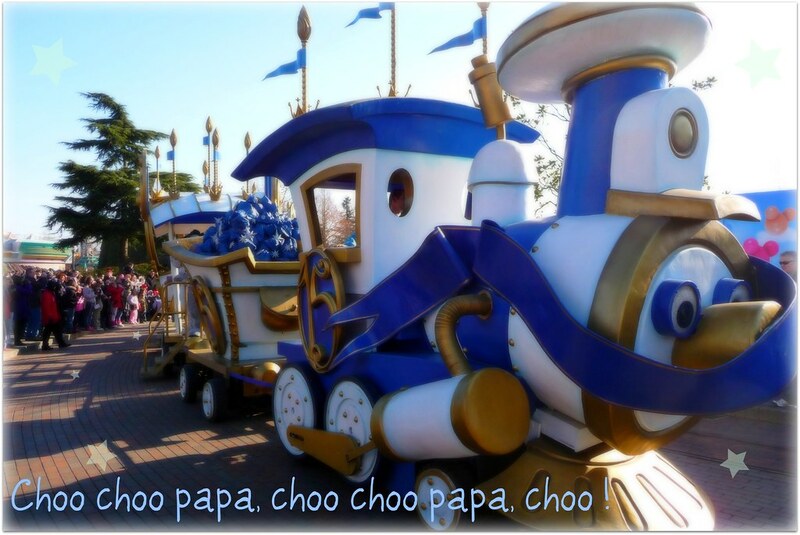 I love the Character Express too, and really want the soundtrack for it! It's cool because not only is it like having a mini parade 5 times a day, you also get to meet some very random, and sometimes rare characters. Jon was of course very happy that Peter Pan appeared several times on it! Also, regarding annual passes, which Jon and I both acquired while there, they have now gone up by 10 Euros to 189 Euros. 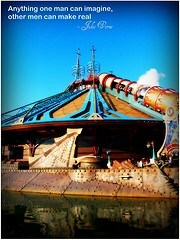 I have always loved Disneyland Paris, but I had a renewed opinion of it this trip. I think that over the years certain aspects of DLP have been given so much bad press and that people are so hyped about the US parks, that DLP almost gets left behind, and sadly forgotten - well at leat that's the outside perception. But let me tell you that DLP secretly is on a rise. It ignores all those that ignore IT, and it is very quickly becoming the top Disney destination in the world - if only everybody else knew it! I know it, and some other die hard fans know it, and Jon now knows it. 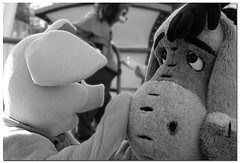 DLP has seemingly shaken off it's downtrodden image - one that it gave itself through the first 10 years of it's life. It no longer just stagnates because that's what everyone expects it to do - it is BOOMING, and on a collision course with mass success. They 15th was a storm, and introduced some wonderful new aspects to DLP, some quite unique to the resort, and the next year promises to do the same. SO whether people see it or not, DLP are finally taking a stand on their own and stepping out, much to the real fans' joy. DLP has some very cool, and very unique aspects to it - characters, architecture, attractions, hotels and restaurants. As Jon can now attest, DLP stands out among all the Disney Parks for being different, and proud of it. We had two character meals while we were there. One dinner at Cafe Mickey in Disney Village and a lunch at the Lucky Nugget Saloon in Frontierland. Both were interesting experiences to say the least! At Cafe Mickey there is no set menu, and prices vary accordingly to what you order - unlike any other character meal I've ever had at WDW. Cafe Mickey also varies it's characters quite drastically. Even between the upstairs and downstairs. Characters who apear can vary a lot too, and it really seems pot luck on who is there when you go! When we were there we met Goofy, Mickey (who was small even for a mouse!! ), Genie, Smee, Prince John, Frollo and the Sheriff of Nottingham. As you may notice, that's also a lot of characters for a meal. In the the US you only normally get 4 or 5. At Cafe Mickey we had 7 - and that wasn't even all of them who were there that night! There was Gepetto and Friar Tuck too, who for some reason didn't come up to us. Cafe Mickey also has the distinction of being the weirdest character meal I've ever had! Between table dancing Goofy (! ), Frollo and Smee having an all out war, and the Sheriff begging for money (even resulting in him actually helping clean and clear tables), it was pretty insane!! While we were there when we ordered drinks DLP were doing a special promotion where you got a voucher for a free hot drink later that day. My thinking is that maybe due to the cold February weather they wanted to keep people interested, and keep footfall in the park. Wth cold weather people may be more inclined to leave earlier or go back to the hotel. Of course, JOn and I were there every waking moment and for us a free drink was a free drink! :D lol. Over in the Studios I finally got to see the new Tower of Terror area. A massive improvement I must say. It is also where Bellhop Goofy does his meets, along with regular Pluto at times. At the Studios we saw the Toon Train. Both of us really liked this for several reasons. One being that it has Clarice on it. Two because Chip n Dale have cool different outfits, and three, because it has Lilo and Stitch on! Also the back drop on the train makes for a cool meet n greet photo (see pictures in part 1). A few things about dining again. We stayed at the Hotel Santa Fe and on 3 mornings had the Santa Fe breakfast, which to give it credit where it's due, was very good, and I enjoyed it. It is nothing spectacular, but it is nice. I like La Cantina, and I think the breakfast was good. The other morning we were offered breakfast at Pizza Planet. I warn you now that this place is DIRE. And I really mean DIRE. Food at DLP overall is normally pretty good, and fairly varied, at least compared to the US parks. But breakfast at Buzz was a mistake. There was literally nothing. A few rolls, little juice and milk, and that was pretty much it. I will say no more, except - eat there and pay the price!! La Cantina for dinner one night was good too. It is served buffet style, and there was a lot of choices. I would recommend it if you like Mexican food especially. I would be happy to eat there again for sure. We also wento the bar one night, and ordered multi-coloured slushies were were nice. The bar had music, and sometimes even live music. It is a nice inviting area, and again I would recommend. Overall our experience at the Santa Fe was very good. I had stayed there once previously and although not had a bad experience, I think I had been put off by it for some reason, or maybe by reviews I read before and after. I don't remember too much about it, but seemed to had a negative opinion of it. I can safely say that this was lifted now, and I would happily stay there again. One weird thing about this hotel though - the Internet access. There are 2 terminals upstairs above La Cantina. They are in this circular room all alone. There is literally nothing else there. It is very pecualiar. But there is a door. And this door leads out to the roof above the reception right under the big John Wayne billboard! You can actually walk the whole length along, and you eventually come to a kids playground and some table tennis tables!! It is a very odd experience, and a very odd place to find such things! Lol. We also managed to explore the New York and Disneyland Hotels'. I had never been in either (and of course neither had Jon). Without going in to too much detail, they are both nice and comfortable and well themed. The Disneyland Hotel is grand and dreamy, and the New York modern and colourful. So overall we had an awesome trip, and I can't wait until October for Halloween there!! Our next Disney trip is to WDW for Easter in April, and after that DL California in the Summer (which I am uber excited about! ).